Providing you the best range of sublimation metal keychains, sublimation aluminium sheet, sublimation metal sheets and sublimation sipper bottles - sublimation sippers with effective & timely delivery. 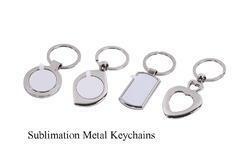 To meet the diversified demands of our clients, we are presenting a wide range of Sublimation Metal Key chains. Keychain as promotional products are based on quality, value and style to promote a very positive return on investment in promotional gift purchase. The key chain offered by us is available in wide assortment of shapes, sizes and specifications to suit the different needs of customers. 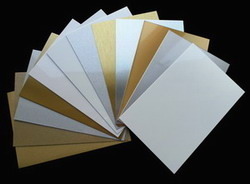 With our rich industry experience, we are involved in offering a wide range of Sublimation Metal Sheets. Our metal sheets are precisely designed from the superior quality material under the guidance of professionals in conformity with the market trends. Offered metal sheets are checked in terms of quality so as to supply a defect free range. 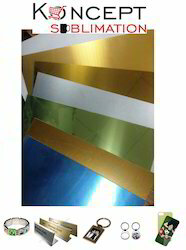 As well, these metal sheets are comes on assorted sizes & designs as per the requirements of customers. 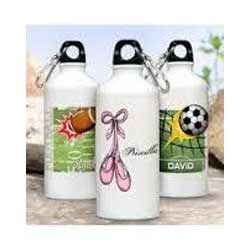 We feel immense to introduce ourselves as a leading manufacturer, trader and supplier of a wide range of Sublimation Sipper Bottle. The offered sipper bottles are designed from top notch material & best techniques in compliance with the set norms of industry. These sipper bottles are high on demand among customers owing to their unmatched quality & finish. Our customers can avail these sipper bottles from us on diverse sizes & customized options as per their needs. With are wide array of network all ove india including Agra, Ahmedabad, Aligarh, Bangalore, Bathinda, Bhilwara, Bhopal, Bhubaneshwar, Chandigarh, Kochi, Dehradoon, Ghaziabad, Guwahati, Gwalior, Haldwani, Hissar, Hubli, Hyderabad, Indore, Jaipur, Jalandhar, Jammu, Jodhpur, Kanpur kolkata, Kota, Lucknow, Ludhiana, Moradabad, Mumbai, Nagpur, Patna, Raipur, Rajkot, Ranchi, Salem, Siliguri, Srinagar and Vijayawada we are supplying quality metal sipper bottles. Looking for Sublimation Metal Products ?